For centuries, Ayurvedic practitioners have used turmeric and black pepper for their healing powers. 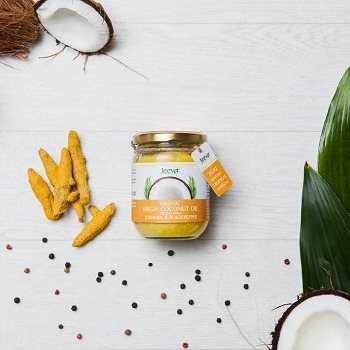 Now, Jeeva have combined them with cold-­pressed coconut to create a naturally gluten-free cooking oil that's specifically designed for healthy recipes. 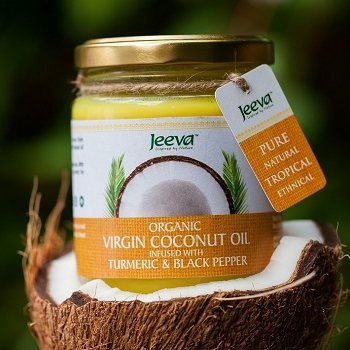 Part of the Jeeva range of raw, handmade oils are all based on premium organic coconuts. This product is dispatched by Jeeva. Please note: this item has special delivery requirements so £3.00 is added to the delivery charges indicated below.